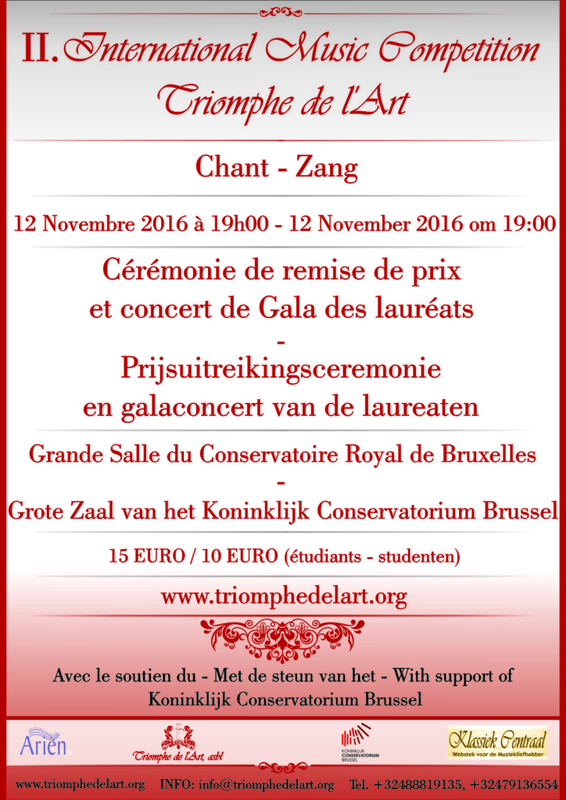 Dear public, if you want to hear winners and laureates live at the final concert of the competition, you are very welcome to the Big Hall of Royal Conservatory of Brussels. We are looking forward to see you at the concert! Presale by bank transfer: You can book tickets by making a bank transfer to the account BE03 5230 8069 5284. Be sure to put your last and first names in the communication. You will find your name in the list at the entrance. Attention! Presale is available till 10th of November 2016!!! Limited number of seats. Hurry up to book tickets!